This lovely olive wood comfort cross is made from Holy Land olive wood. 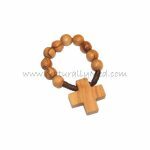 Fitting perfectly in the palm of your hand it is a lovely smooth design which will bring you comfort during prayers or times of stress. 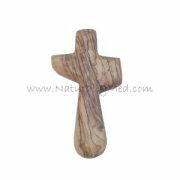 This olive wood cross measures 4.3″ length and 0.4″ thick.